Managed service provider (MSP) software is an IT service platform that manages a predefined set of services for clients. Working within a number of industries, such as B2B integration, information services, supply chain management, transportation, utilities, and media, MSP software works as a virtual assistant. User software can be tailored to perform any customizable set of functions. 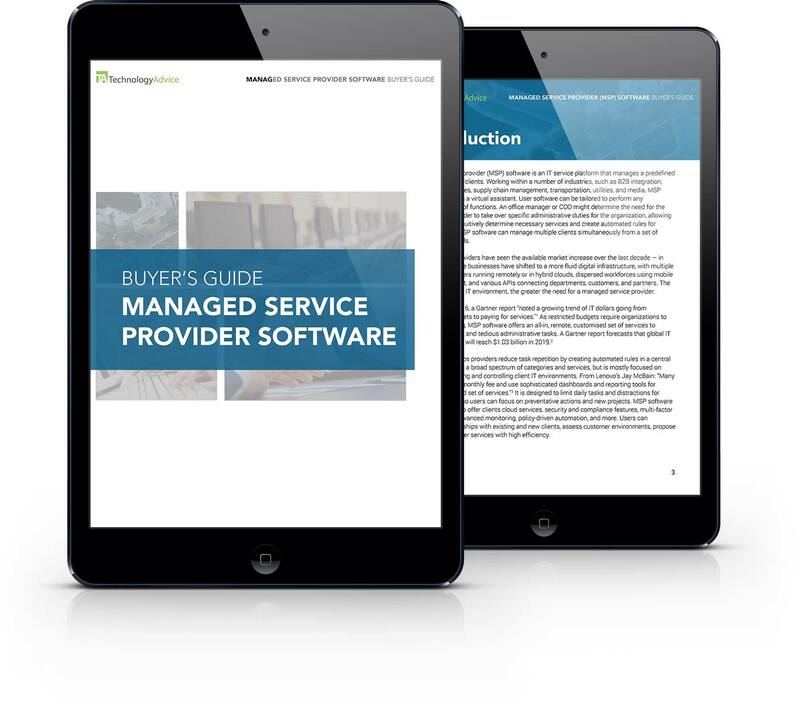 MSP software helps providers reduce task repetition by creating automated rules in a central platform. It covers a broad spectrum of categories and services, but is mostly focused on remotely monitoring and controlling client IT environments.